List the surnames you are researching and the general localities. Then tell the names of your “Most Wanted Ancestors,” that is, the ones you most want to find behind that brickwall. (You can tag people if you want; I’ve chosen not to do that here so that all readers are included). Let’s see your lists; maybe we can each help someone out! Below is a list of the surnames in my genealogy hunt and the places they lived. The wife and parents of John Blanton, born 1760/1761, probably in VA; lived in east TN, Walker Co., AL, St. Francis Co, AR and Red River Co., TX. 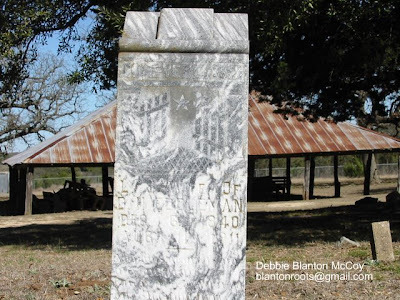 Died in Red River Co., TX in Nov. 1840. The parents of William M. Saunders, born abt. 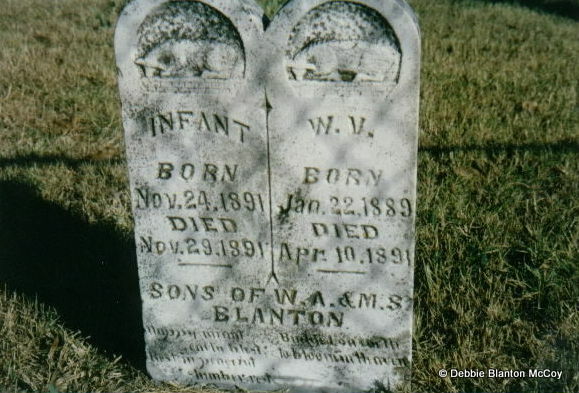 1842 in Texas; died before July 1866, last living in Bosque Co., TX. The Red River Campaign was the Union's effort to capture Texas and take control of the Trans-Mississippi headquarters at Shreveport, Louisiana. Union troops under the command of General N. P. Banks, and Navy troops under Flag Officer D. D. Porter, moved up the Red River through Alexandria, Louisiana to Natchitoches. At that point, General Banks moved away from the Red River and his naval support. He was not expecting to meet Confederate troops until he reached Shreveport. On the morning of April 7, 1864, Union troops encountered Confederate troops under the command of General Richard Taylor (son of President Zachary Taylor) near Wilson's Farm south of the town of Mansfield. At noon the next day, April 8, 1864, Confederate forces met the Union forces in battle about four miles south of Mansfield. This is where the Mansfield State Historic site is today. The Confederate forces overtook the Union soldiers, taking many prisoners, and causing the Union forces to retreat to Pleasant Hill. The next day, the Battle of Pleasant Hill was fought with both sides sustaining heavy losses and withdrawing. After the two battles, the Union army retreated back to Natchitoches and down the Red River, thus ending the Red River Campaign. The Battle of Mansfield has been called the most important battle west of the Mississippi. It was the turning point in the Red River Campaign, and it saved Texas from the invasion of Union Troops. They were members of the 23rd Texas Cavalry Regiment which was assigned to H. Bee's and Debray's Brigade, Trans-Mississippi Dept. The Mansfield State Historic Site is operated by the State of Louisiana. Inside the Interpretive Center, visitors can watch an interesting 10 minute video about the Battle of Mansfield and view several exhibits containing artifacts from the war including weapons, uniforms, letters and diaries. Copyright © 2009 Deborah Blanton McCoy. This is Louisa J. Scarborough whom I wrote about yesterday. 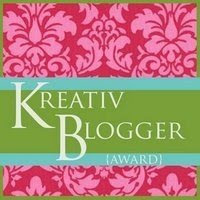 JoLyn of Uphill Both Ways has given me the Kreativ Blogger award. Thanks, JoLyn! Being a new blogger, I appreciate this very much. Be sure to visit them all! Congratulations everyone and thanks again, JoLyn.